Island Pressure Cleaning Inc is a locally owned and operated business in beautiful Vero Beach, FL. Owners Wayne Laughlin and Cliff Hagan Jr. have lived in Vero Beach for over 20 years. In 1994 Wayne Laughlin started J&S Pressure Cleaning, in 1996 Cliff Hagan started Peer Pressure. 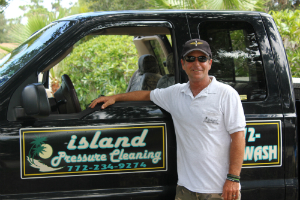 Together they formed Island Pressure Cleaning in 2000 and have become the most respected pressure cleaning company in Vero Beach. Island Pressure Cleaning has built its reputation on quality work, prompt service and complete customer satisfaction. The owners are present on every job and make sure you are happy with the service. 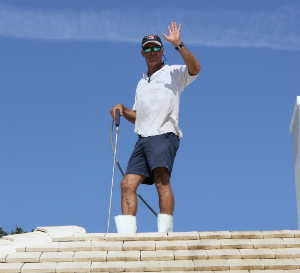 Island Pressure Cleaning takes pride in keeping your property looking its best. From simple to sophisticated, we have the experience and knowledge it takes to get the job done in an efficient and timely manner. Let us come and keep your 'little bit of paradise' clean and fresh all year round. Call us today for a free estimate. Wayne Laughlin Cliff Hagan Jr.